How would you describe Riparide? Riparide is an online booking site which offers different accommodation / experiences. I am super stoked this exists as I remember saying to my partner Brit a few years ago " It would be rad if you could go to a site and book a cosy cabin down by a stream in the middle of nowhere". 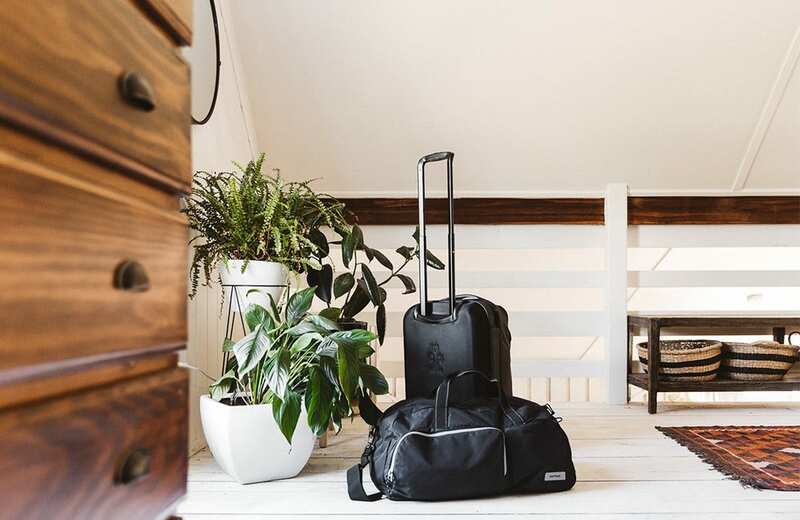 It was so hard to navigate through the likes of Air BNB to find these niche type listings so what Riparide does really well is offer all of these type of different accommodation spots together on the one site. It's not just your typical run of the mill listings where someone is renting out a room in the city. We went to "The Barn" which is about an hour and half drive from us in Coburg, not far at all. Just being in the space to be honest, unpacking the van and our bags, putting our feet up and having a wine / beer. That's when you can finally feel like you are on a break and can breath again away from the city! The stars though, seriously at around 11pm was amazing, the sky lit up as there is no light pollution around and the milky way started to light up.. seriously cool. Making smores and marshmallows by the fire under than sky was unreal! Plus having kangaroos surrounding us just topped it off. What are your ‘must have’ pieces you packed? For me obviously it's the camera and travel Tripod. A small lightweight tripod is essential. Also the strap that you guys provided. I don't normally rock a strap when shooting day to day commercial stuff but when I am outdoors exploring the strap is a life saver. it's nice to have the camera wielded by your side ready to go to make sure you get the shot. We always pack fairly light for micro adventures, so usually just a change of clothes, something cool and something warm. Togs always because you never know when you might find a decent swimming hole. Cheese & Wine and Beer is essential. What was your favourite Crumpler product and why? Seriously we rated everything we took away with us, each piece had purpose. The Dopp Kit was seriously well thought out, unlike other ones we have used in the past which aesthetically look really nice but prove impractical when it comes to actual use. It merged both looks and functionality - we really liked the clip that you make once you unroll it all so you can hang it up. The camera strap like I said above was great, one thing I really like about it is the elastic material used on the main part of the strap, it really helps take up some of the weight when you are walking along with a heavy rig especially with the large zoom lens. The carry on wheeled bag Brit really took a liking too, it was the perfect size for a weekend. I loved the camera pocket in the front with the strap to secure it in it's place.